What a great year we are having! ATE now feeds nearly 1000 children at 6 schools, has set up 74 businesses and 5 large farms, supports 10 young female apprentices, works with 160 disabled children and has raised an astonishing £737,000 to enhance lives in Lawra. 2018 is our ‘Year of Special Needs’ – disabled children in Lawra are being left behind. They are discriminated against, isolated and deprived of basic services like schools and healthcare – this breaks my heart. By building an Inclusion Centre, we are working to change this. I couldn’t be prouder to be pioneering inclusion of disabled children in Upper West Ghana. To all of our supporters – thank you for believing in us. As always, I am hugely grateful. ATE has launched its fourth Hub of Development! In June, we expanded our school feeding programme, EducATE, to Biro Junior High School. Biro is an exceptionally rural community that experiences poverty unlike we had encountered in our town-based schools. 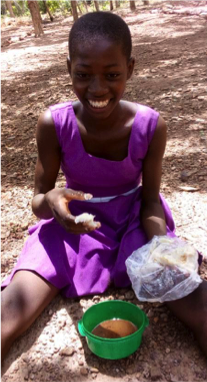 There are just 12 students currently enrolled but we know there are children in that community who want to go to school and our EducATE programme, which includes school feeding, has been proven time and again to encourage children back into school. In the next few months, our dedicated team in Lawra will start encouraging local business owners in the community and aspiring entrepreneurs, to make applications to our business support programme, BizATE. We are excited to empower community members to create a growing and sustainable economy. And we can’t wait to start seeing positive changes take place within this this community. The ATE team is growing! We are pleased to introduce two new team members this year! Kaamil was first on board as Special Needs Programme Leader focusing on establishing strong relationships with all our supported disabled children and working hard to identify and meet their needs. Evarist joined our team in May to monitor the delivery of EducATE at Lawra Model Girls School, Karbo Junior High School, as well as our new hub, school Biro! School lunches for the Model Girls School! The Ghanaian government does not have a feeding programme for their Junior High Schools, which is why our EducATE programme remains vital. 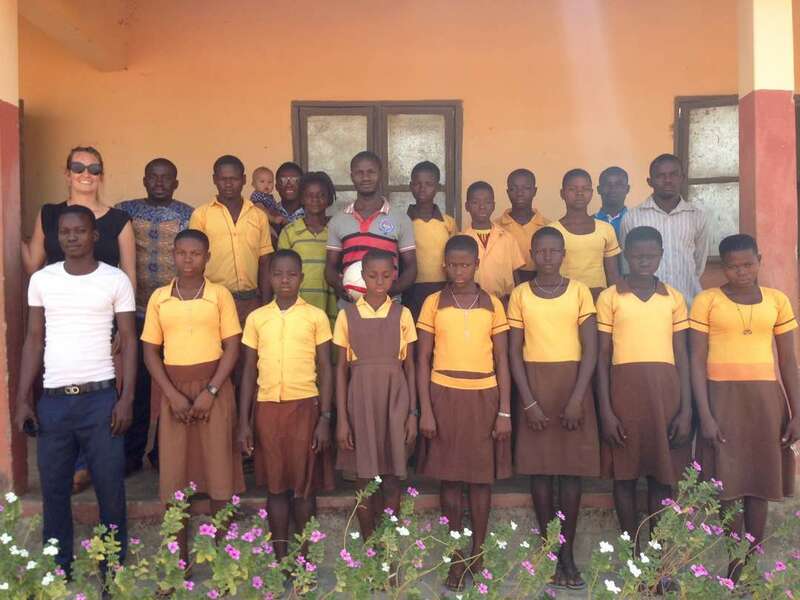 So when the Ghana Education Service approached us to ask if ATE could help support the 34 students attending an all girls’ school in Lawra, we were delighted. The school is located next to one of our supported schools, which meant we were able to start feeding right out of the same kitchen! We feel proud to hold such a trusted place in the community that the Ghana Education Service approached us to support additional schools in the community. It is a very special position and this strong partnership is what allows us to create such impact. Top student becomes top entrepreneur! Amatus is one of our new participants on our small business programme, introduced to us by his former teachers at Gombele Junior High School. They said Amatus was ‘one of the brightest students’ the school had ever produced. He got a top score in exams and continued on to Secondary High School when tragedy struck. Unfortunately Amatus’ father died and he had to drop out of school to provide for his younger siblings. This happens all too often to young people with bright futures. 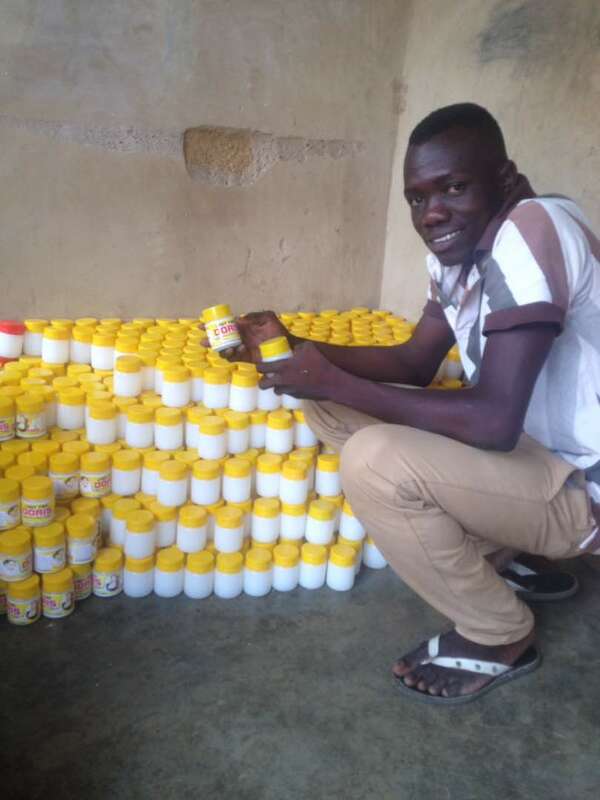 But thanks to his former teachers and ATE’s BizATE programme, Amatus is now running a thriving business! Having identified a niche in the market, Amatus has started producing his own brand of pomade (hair wax) and is currently ATE’s highest earning entrepreneur this year. He’s supporting his mother and younger siblings while also saving for accountancy school. We are so proud to support him. What an evening at the ATE Dinner and Auction of Promises! 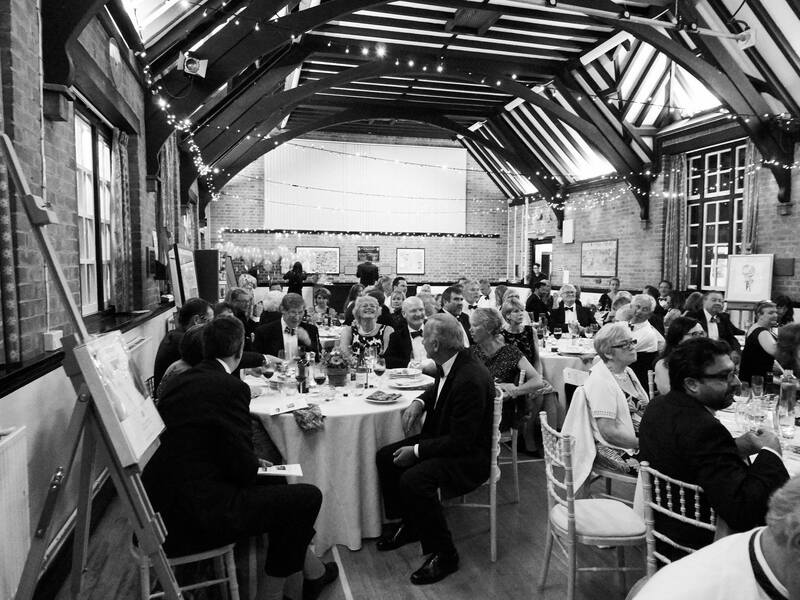 An enormous ‘thank you’ to everyone who came to our auction evening and those who worked so hard behind the scenes to make the night one to remember! The auction was held to fund our new Hub of Development, Biro and it raised an incredible total of £21,000! 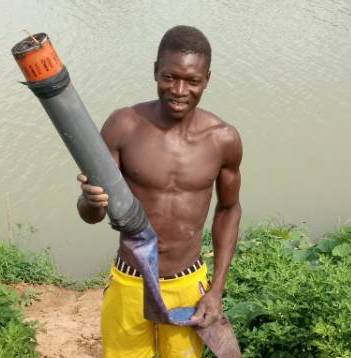 Farmers grow profits in the Dry Season! April saw the end of another successful dry season for ATE supported farmers. After the success of our pilot project last year, we were excited to begin another season, protecting farmers and their communities against food insecurity during the hardest time of year. And this year we welcomed new farmer, Raymond who made an average monthly profit of 756 cedis – incredibly high profit for his first year! His wife, Theresa, is a seamstress who joined our BizATE programme back in 2015! Being able to sustainably support entire families makes a powerful impact on their future and what they bring to their community. We’re excited to see Raymond’s success continue next year. “Our experience volunteering with ATE in Lawra is probably the hardest but most rewarding thing we have ever done” – Penny Locke and her two teenage sons, Toby and Adam, visited Lawra in February. 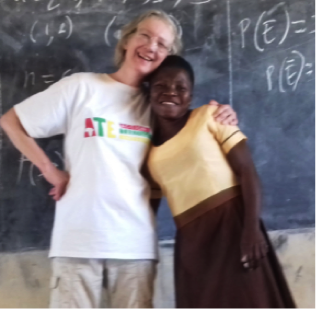 They spent time exploring each of ATE’s projects, in particular interviewing students at our rural schools to find out how our support has impacted their lives. They worked hard to fundraise for their trip and were able to donate an additional £1000 to buy much needed supplies for our schools. On her return Penny, told us: “Meeting these students has really changed the way I think about life. If I feel hungry or tired or worry that life is hard, I now feel inspired by them. If they can cope, so can I.” What an inspirational trip. We are building a £35k Inclusion Centre to welcome disabled children and inspire the community. It will be a safe space for disabled children and their families, will house a flexible working space for ATE staff and volunteers, and will be a visible beacon of unity and inclusion on the landscape of the Lawra community. To find out more and make a contribution please visit: ATE’s Inclusion Centre. Competition heats up at Sports day in Lawra! June saw rival schools compete in a district wide competition. Taking place over several days, each of ATE supported school competed in football and volleyball. 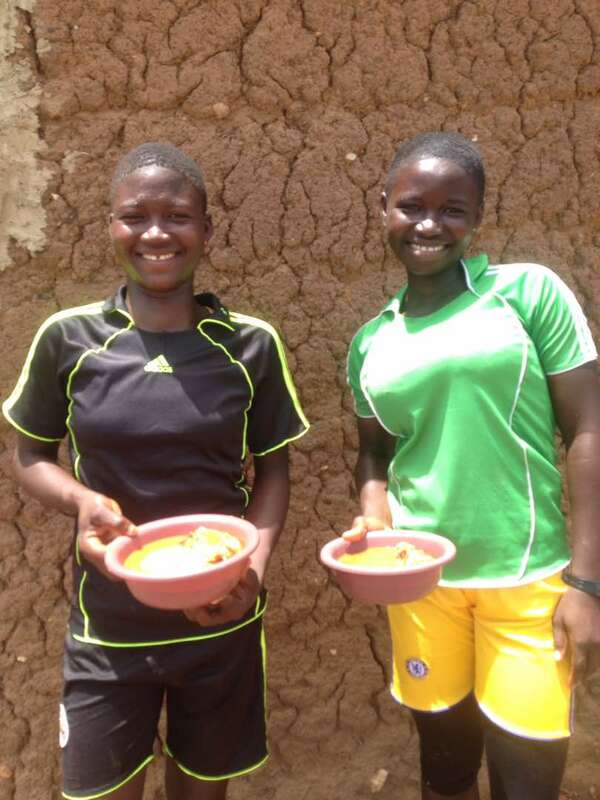 The students loved taking, and Anita and Patricia at Gombele JHS told us they had more energy than their opponents thanks to their school lunch provided by ATE. If you’d like to stay up-to-date with ATE’s exciting news and developments, don’t forget to sign up to our mailing list: Click here to sign up!